Enjoy a full-day tour from Paris to the Reims region. Visit the magnificent Reims Cathedral, site of the coronation of the Kings of France, learn about wine-making at a small wine-grower, enjoy a lunch, and get a tour of the Mumm Champagne house cellars followed by a tasting. You'll be picked-up at your Paris accommodation at 7 am for your minibus trip to Reims. The small group of a maximum of eight participants allows you to enjoy a more personalized excursion with your driver and guide. 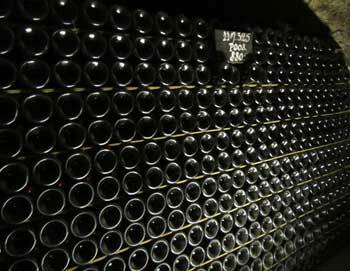 You will discover the mountain of Reims with a photo stop and learn about wine-making in the region. Enjoy the breathtaking view out over the vineyards and admire the bell towers of as many as 45 different villages. Then you'll visit a small wine-grower. Depending on the activity taking place during your visit, learn about one of the stages in the production of champagne (pressing, fermentation, bottling, etc.) before the owner will offer you a sampling of its own champagne. On the drive to Reims, your driver and guide will tell you about the incredible Notre Dame cathedral, dating from the 13th century and listed as a UNESCO World Heritage Site. Once there you'll get a guided tour followed by one hour of free time to explore on your own. Next stop is a delicious lunch in the town of Reims. You'll be back at your hotel in Paris around 5:30 PM, depending on traffic. The tour lasts approx. 10.5 hours. The tour is available in English, French, Spanish, Portuguese and Japanese. - Please note, it is cool in the cellars, please bring warm clothing. 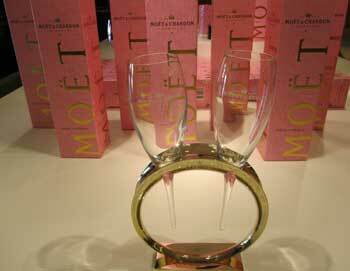 - You will have the opportunity to purchase champagne and other tasting accessories. Monday to Saturday at 7 AM.